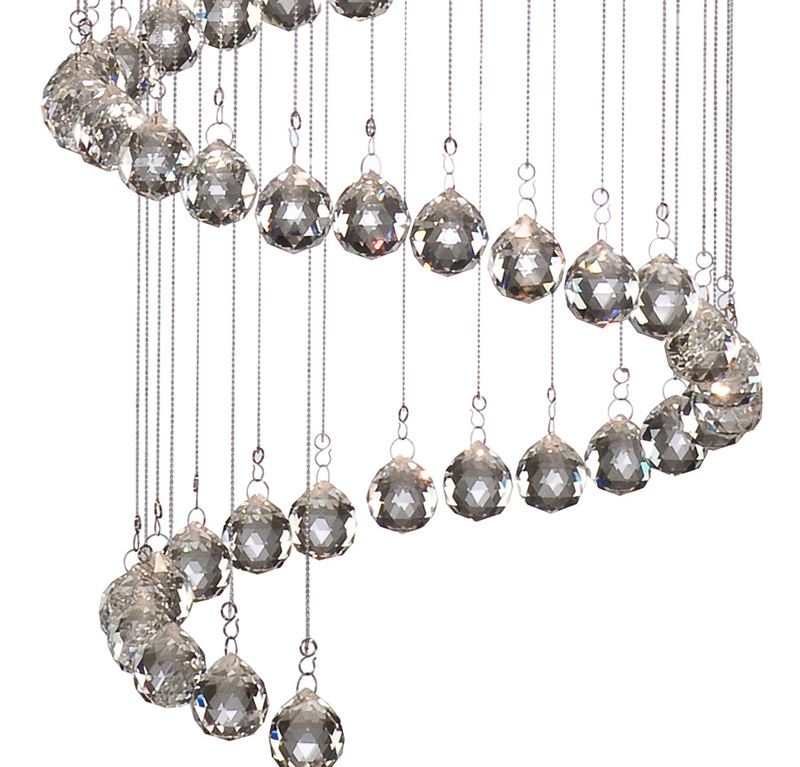 Large polished chrome ceiling mount containing five G9 halogen capsules that direct the light downwards, through the spiral faceted crystal balls suspended on wires. This is a large scale feature light pendant with an 800 mm drop. It is well suited to large hallways, or room with a higher ceiling.